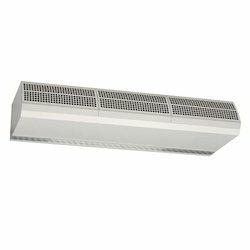 Leading Wholesale Supplier of air curtains from Secunderabad. Our organization is an applauded name in offering Air Curtains to our clients. There is an excellent range of these curtains available with us. These curtains have excellent quality and are available with flame proof and non flame proof motor. These are fully automatic and operate at high speed. These have downward facing blower and are mounted over an opening.